Without the support of generous donors like you, we would not be able to fulfill our mission of bringing individuals and communities together to celebrate and explore Latino culture through dance. Your gift will be used to bring the joy of dance and Latino culture to audiences and communities in New York City, across the country, and around the world through our professional performances, education programs, and community outreach. For information on other ways to give, please contact Lorraine LaHuta 212-362-6710, ext. 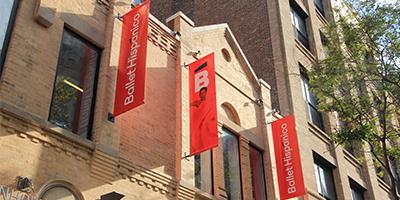 28. or llahuta@ballethispanico.org.